Forklift Certification – Our commitment to helping students and the community! American Forklift Certification is more than a typical forklift licensing school. We are committed to helping students and the community not only learn and obtain their forklift certification in safely and properly operating forklifts, but we want to help you find your next job. From sending your information out to hiring companies and agencies in your area, to hosting job fairs dedicated to forklift positions, we want to make sure to get you in front of hiring managers. Whether you’re looking to start a new career as a forklift operator, looking for a job closer to home, or seeking a higher paying position, American Forklift is dedicated to bringing you the opportunities you need. Many have been there, perhaps you’ve been there. You get the certification, you meet the job requirements, but getting an actual job is an entirely different story. In fact, we bet it’s quite frustrating. That’s how we want to help! When we opened American Forklift Certification out of Commerce, in Los Angeles County, we wanted to be more than your typical forklift licensing school. Out of respect, we’re not sharing any names, but so many forklift certification schools simply offer some certification program and then release the students out on their own to hunt for a job. They may look up some jobs on Craigslist and email them over to their client list, but honestly, you can do the same. If you’ve ever been in such a situation, then you know how difficult it can be searching for job openings, sending out application after application, and waiting for your phone to ring. Here at American Forklift, we wanted to do something different. That’s why we did all the leg work for you. Cumulatively, our locations have partnered up with over 150 local companies and agencies. Accordingly, rather than hunt for job openings yourself, we send your information out to the companies and agencies hiring in your area. We also take it one step further. We host JOB FAIRS! Not only do we send your information out to these hiring employers and agencies, but we bring them to you! By attending one of our job fairs, you’re able to place your face on your application. You’re able to formally introduce yourself. You’re able to make a great first impression and have the opportunity to make yourself professionally memorable. 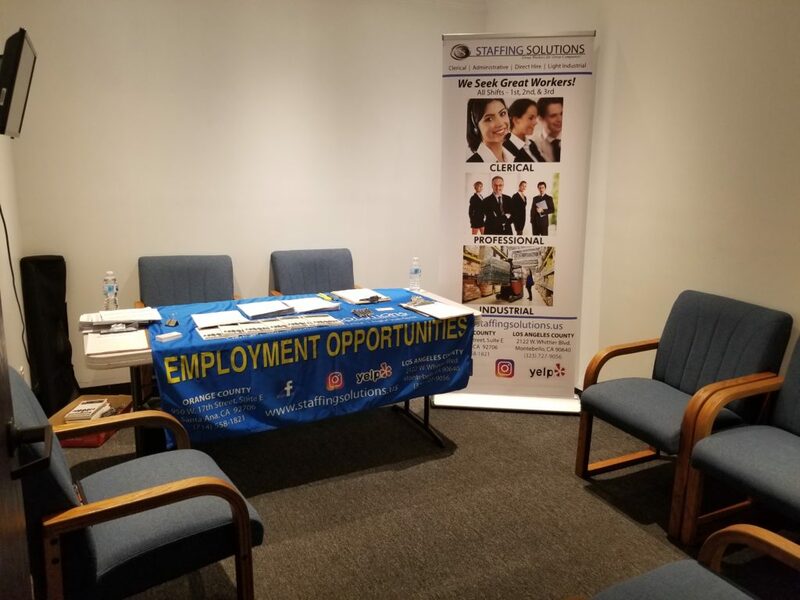 Additionally, let’s not forget to mention that many employers and agencies attend job fairs for the purpose of conducting on-the-spot interviews. What does that mean to you? It means you’re also able to participate in an interview and potentially receive a job offer that same day! If you’re looking to obtain your forklift certification or renew, and want to obtain it from a forklift school that helps students post certification find and grow professionally, then American Forklift Certification is the way to go. Contact us at (323) 620-7000 . Find more great reviews here.